If you’ve seen David Fortino, NetLine’s SVP of Audience and Product, at events like CMWorld or B2BMX over this past year, you have likely heard him talk about launching a campaign in the time it takes to sip a cup of coffee. In fact, at B2BMX, one “lucky” (and outgoing) guest participated in a live demonstration of launching a campaign using her company’s content. 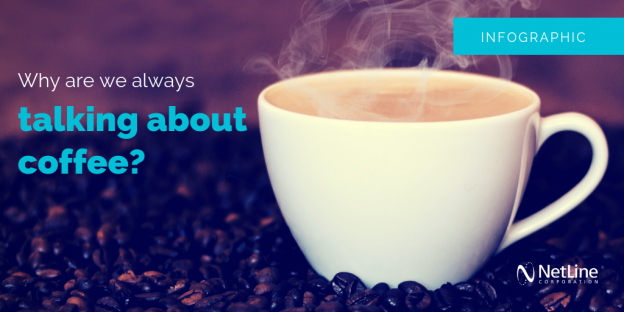 Now, we love coffee as much as the next martech company, but the fun behind the phrase is that it is actually true. In less than 20 minutes, B2B marketers can launch a fully-loaded, customized, content syndication lead generation campaign on the NetLine Portal. Before your caffeinated elixir has even had time to cool off for that first sip, most users have already generated a form, cover graphic, and a landing page, simply by uploading their content and completing a few fields. Try it out for yourself (tea drinkers also welcome). Click here to make your free NetLine Portal account.